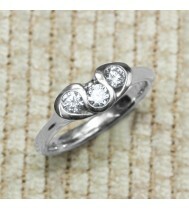 Dress Rings There are 14 products. 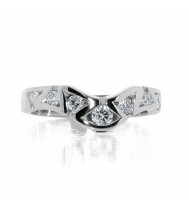 At lester and brown jewellers, we stock a wide range of jewellery brands with dress rings in their collections, we have Ti Sento and even Virtue stacking rings however as jewellers we also have a great range of dress rings, these are in different precious metal, gold, platinum and even palladium, with many of the rings being stone set, so whether is a diamond set dress ring, sapphire or ruby, we have a dress ring to suit you. 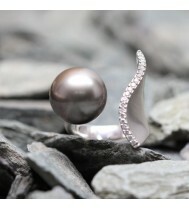 18ct White gold Tahitian pearl dress ring, this unsual dress ring is set with a 13.5mm Pearl on one side and on the other there is a diamond set with a small row of round diamonds. 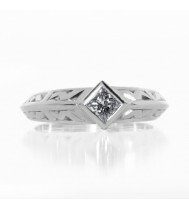 Set in this Platinum rub-over set dress ring which has an embossed pattern down each shoulder is a 0.20ct Princess cut diamond. 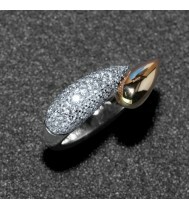 This double teardrop or pear shape dress ring is in 14ct Rose and white gold-the yellow gold is smaller and at a slight angle-whilst the white gold shape is larger and pave set with small round diamonds on the surface. 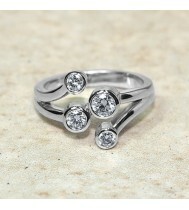 Palladium wide fancy dress ring set with one round brilliant cut diamond in the centre weighing 0.30ct approx. 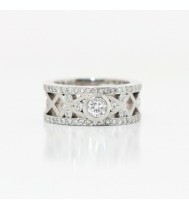 The centre of the band is set with 8 smaller stones and a row of diamonds on each side of the ring. 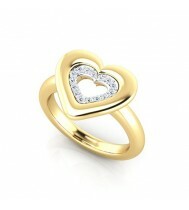 18ct Yellow gold heart shape dress ring set with 12 small round diamonds, which are set slighlty lower that the heart shape bezel. 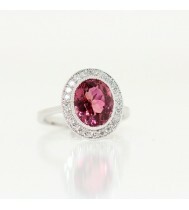 18ct White gold, large Oval Pink Tormaline and diamond cluster dress ring, This pink tormaline stone is seated in a rub-over setting and surrounded with a single row of small diamonds. 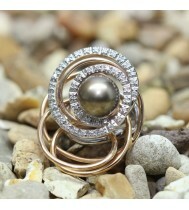 18ct White and Yellow Gold Fancy Tahitian Pearl Dress Ring, the wire effect swirl creates a delicate coil around the ring with and there is a small row of diamonds set on the top.